Firebrand Training Australia: What is Six Sigma? 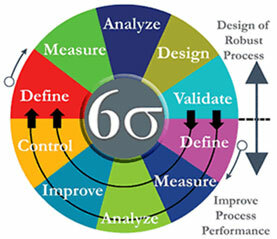 Six Sigma is a business management strategy, which provides proved quality management methods. It includes business and cost-benefit analysis, thought-process mapping customer surveys, control charts and regression analysis. What distinguishes Six Sigma is that it puts on measurements, as the starting point of decision making processes. Six Sigma provides you the map for decision-making. This method is now one of the most used by all-sized organizations.